NPR recently ran a piece on bomb sniffing dogs being used in Afghanistan to locate IEDs (Improvised Explosive Devices) and I thought it would be good to take a look at military working dogs in honor of July 4th. Though I have mixed feelings about dogs being put in harm’s way for a human war, it’s a fact that they are. They’re doing a valuable job and have saved countless human lives. Not to mention helping with morale. Here’s the NPR piece on Lode, a black Lab, and his handler, Lance Cpl. Robert Leddy. It’s Lode’s first deployment in Afghanistan. The first handler & dog team, Cpl. Kory D. Wiens & Cooper, killed since the wars in Afghanistan and Iraq were buried together. A new $15 million veterinary hospital was opened to care for working military dogs. The original facilities were built in 1968 to treat dogs used in Vietnam. The Military Working Dogs not only find bombs, insurgents, weapons caches, and help with policing, they now help with healing the wounded. The Air Force has started a program to have dogs visit the wounded in the AFTH (Air Force Theater Hospital) in Balad, Iraq. 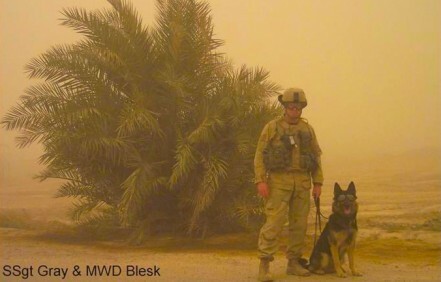 K9Pride is a blog on Working Military Dogs. The Department of Defense has a page on military dogs where you can read more about their work. 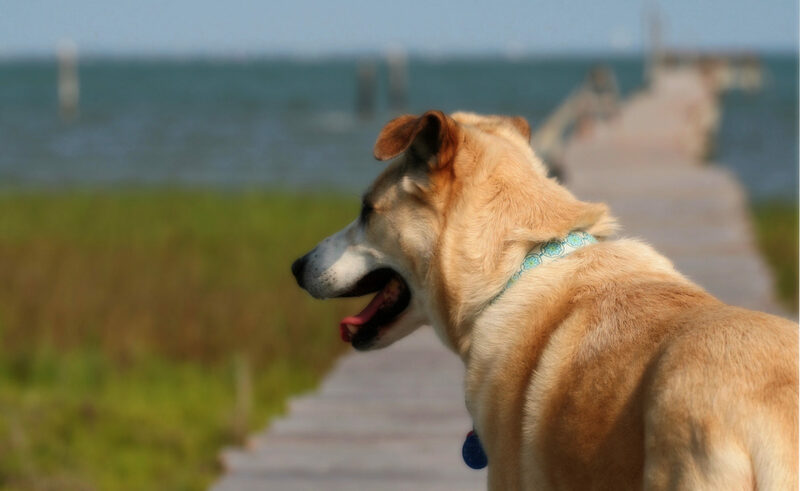 You can now adopt a retired Working Military Dog. The Lee family was allowed to adopt their son’s military working dog after their son, Dustin, was killed in action. Lex, the dog, had stayed with Dustin after both of them were wounded. You can sign the petition for having a commemorative stamp made for Military Working Dogs. You can also make donations for the War Dog Memorial.